Summer may be finally making itself known here in New Zealand, but that doesn't mean dry skin issues have stopped with winter! Every year, just like clockwork, I get two patches of eczema along the inside of my elbows as summer begins. It doesn't happen on any other part of my body, it's really weird, not to mention itchy and unsightly. 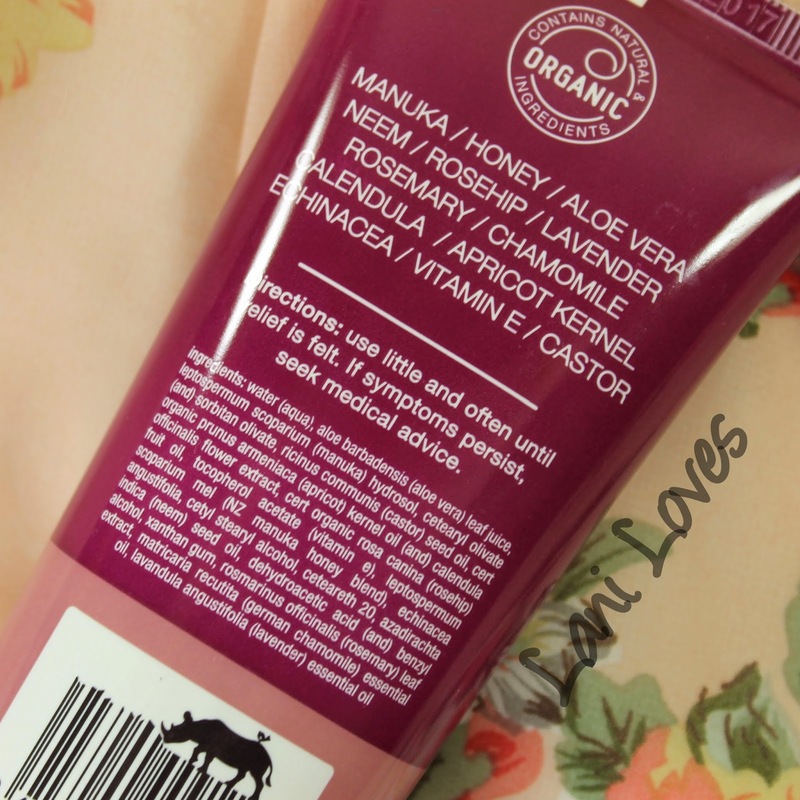 Luckily I can usually keep it at bay with a good moisturiser, which is where Oasis Beauty Rhino Repair comes in. 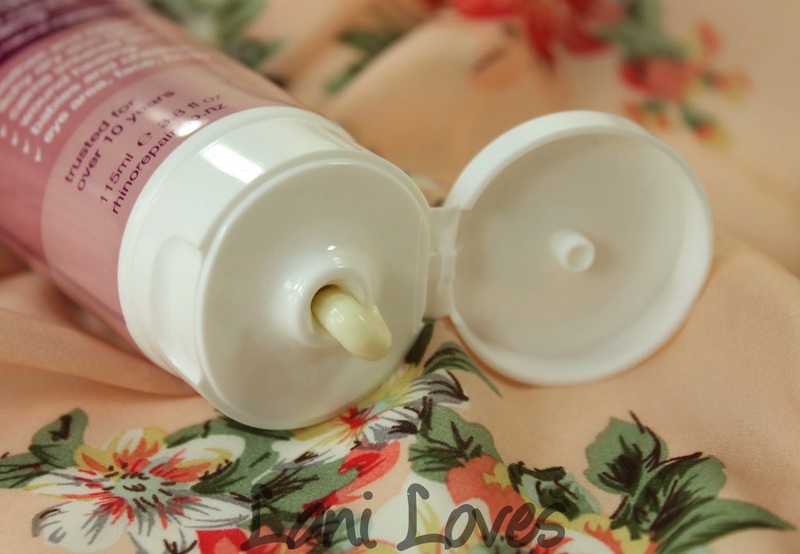 It's a multi-tasking repair cream packed with a bunch of skin loving, healing ingredients: manuka, honey, aloe vera, neem, rosehip, lavender, rosemary, chamomile, calendula, apricot kernel, echinacea, vitamin E and castor. 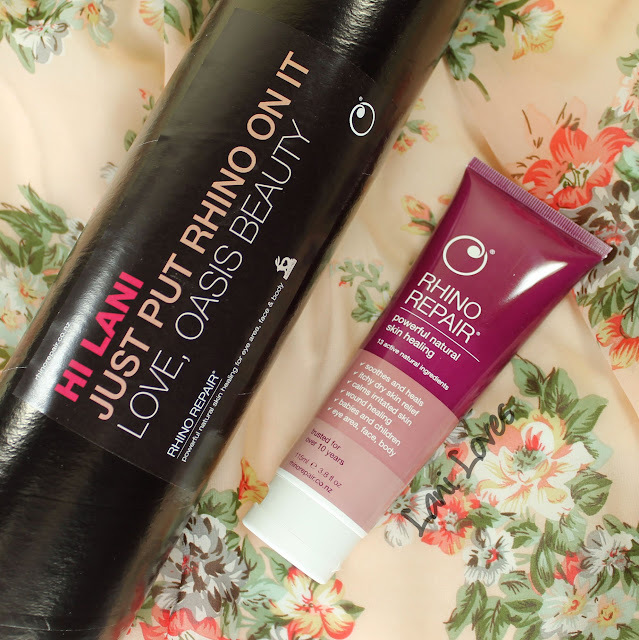 Now, I haven't had the need or circumstances to try all of these suggested uses, but I can tell you that Oasis Beauty Rhino Repair has done wonders for my eczema. I've also been using it on Patrick (my almost two year old), who gets it far worse than I do and it's definitely helping there too. I like how gentle it is on his sensitive baby skin, soothing the inflamed skin and restoring moisture to the affected areas. I've also been using it as a body cream, particularly after hair removal, where it immediately improves the appearance of irritated skin and more often as a hand cream (which Patrick loves to copy!). I'm terrible for washing dishes without gloves, I swear I don't mean to, I just keep forgetting to pick up more in the groceries! Anyway, as you might imagine, my hands are always incredibly dry after doing the dishes (one more reason to swear off housework), so I immediately reach for a hand cream and apply generously. Rhino Repair is great because it's thick and very nourishing, yet it absorbs very quickly without leaving you with greasy hands. I spend a lot of time working on the computer so slimy hands near the keyboard and mouse are definitely a no go! Although neither licorice nor anise are in the ingredients, the combined fragrances of the others that make up this wonder cream strongly remind me of their scent. I quite like that scent, but it is a bit unusual and rather strong, so it's worth making note of if you are sensitive or fussy about fragrances. Oasis Beauty Rhino Repair retails for $39.90NZD for 115ml and is available from leading doctors and skin dermatologists, selected health stores and pharmacies nationwide and online at www.oasisbeauty.co.nz. You can find full stockist information here. Have you tried Rhino Repair?